Over the past few weeks, I’ve seen and heard a few things that emphasize how poorly we can sometimes choose to spend our family time. What the young father thought was “spending time” with his baby, was wrong on so many levels. I wanted to ask him what he thinks his son learns when they sit like that. What does he say to his son? Does he realize how much negative input the baby gets because he is being shushed all the time? What games do they play? Is he aware that babies shouldn’t have screen time yet? My friend’s husband often goes away on business trips. Recently, when he was home for the weekend, there were important things they needed to discuss. She reminded him of it during the week, and he promised they would do so over the weekend. However, he spent the whole of Saturday afternoon trying to get their satellite television sorted out after a lightning strike. Afterward, he watched five soccer games in a row. Eventually, they had to communicate about an important property transaction by email because he wasn’t available to talk to her. She felt like a figure on the perimeter of his life. Here are the questions we asked and some of the responses. Q1 What does it mean to spend quality time with someone? @Yolande_MT Spending quality time with someone means listening to them with your head and your heart. @DreaVilleneuve Quality time is the present of being present. It is the sharing of our time to make important moments and memories. Q2 Why is it important to spend time with family? What are the benefits? @OkemaForever If you never spend quality time with a person, you’ll NEVER truly know them, even if they are quiet. @SaifuRizvi Family is who we love most. Spending quality time with family increases happiness quotient of an individual. It is also relieves fatigue, satisfies the desire for loving our family and being loved by them. Q3 What does interference with your family time look like – what happens? @HirePowerHR With my immediate family, it is taking on too many extra activities where commitment is required. Don’t overload yourself with stuff that prevents that intentional and important time with loved ones. @OrganicLeaderVB Interference with family time is having too many “tabs” open – thinking & doing other things (phone, answering an email or text)… not being fully present to truly connect with my loved ones. Q4 How is your family affected and how does it react? @Mphete_Kwetli It affects our routines to engage and enjoy family time. They become disrespectful at times but understand it other times. @JKatzaman If there is a family event planned that has to be ditched due to interference, they resent the one who interfered, and I’m not too fond of the person as well. Q5 What do you feel/think when you lose family time, and why? @GilchristGeorge Frustrated and guilty because you have got work/life balance wrong. @TwisterKW Whole gamut of emotions. Sadness, resentment, anger – outward and inward – feel like a failure. Like I missed out. Time is so precious. Q6 How available does your boss/company expect you to be after hours, and why? @Limha75 Proud to say leaders in our team encourage down time. Vital as advocates have to stay resilient. We try not to send emails post 6pm so people don’t feel they have to reply. @BrainBlenderTec I’m my own boss but I mentor 70 start-ups and I have an open-phone policy. Genius or fear often happens at 03:00am! Q7 Do you limit your availability, and if so how? @temekoruns Block out time in the calendar. It works if you don’t have a habit of agreeing to meetings that conflict with your schedule. Q8 What are the risks of attempting to protect family time? @MicheleDD_MT May be looked over for promotions or strategic assignments – perception is that you aren’t committed enough. @maat333 It depends on the clash, most of the time those conflicts aren’t transcendental, but temporary. But sometimes your work and your career may be at risk, and equally your relation with your family; so you must decide what is most important to you… the answer is easy. Q9 What are your strategies for prioritizing family and non-family time, including work? @TheCraigKaye Communication, collaboration, compromise and empathy apply to both family and non-family time. @LifeSpeak It can be tricky to manage our time when we feel like we’re solely responsible for everything. Asking for help can relieve that stress and free up time, both at home and at work. Q10 What will help you to maintain a new, healthier and happier balance? @Yolande_MT Learn to ask: “How important is this?” and “How important is this right now?” Not everything needs your immediate attention. @HirePowerHR Finding others who will hold you accountable. If I am not at my parents’ every Saturday morning, my mom will call or text. Also, realize that work, wealth, and stuff DOES NOT make you happy. @Midgie_MT Develop a structure/guideline for spending time in each important area and then review how I actually spend that time on a weekly basis. @JenniferBulandr Carve out time for myself. Have imposed digital time outs. Planning better. 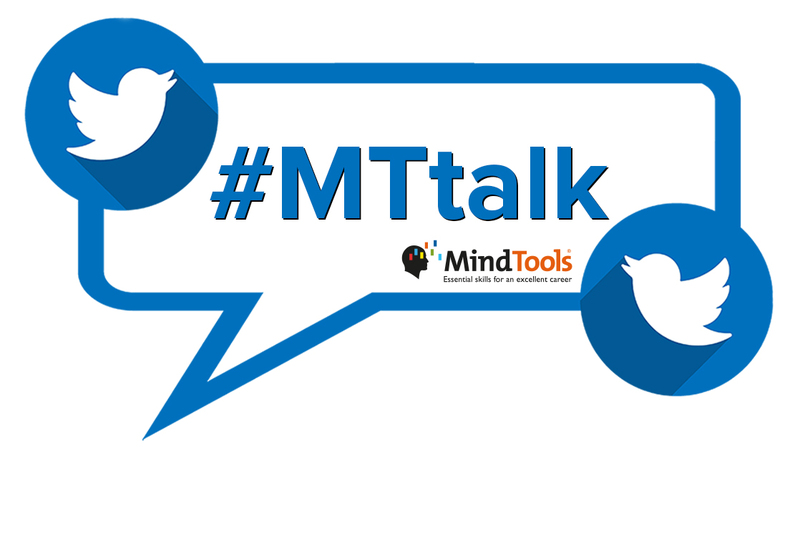 This was our last #MTtalk chat for 2017. Instead of having a chat in two weeks’ time, we’ll publish a blog sharing some of the most important tips and takeaways from 2017.